We're caring and experienced professionals who understand that each family is unique and has personal requests and traditions. We're located on Main Street in Newton, Kansas. We invite you to stop by to browse our facilities, and discuss your pre-planning needs at any time! 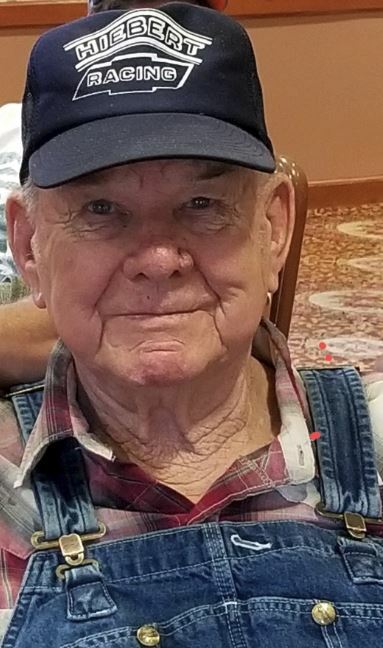 Rudolf “Luke” Hiebert Jr. 80, died Tuesday January 29, 2019 at Halstead Health and Rehab in Halstead, Kansas. He was born September 5, 1938 in Goessel, Kansas to Rudolf Sr. and Eva (Flaming) Hiebert, On June 29, 1958 he married Oleta Hiebert in Walton, Kansas and she survives of the home. Luke retired as an equipment operator from Westar Energy in June of 1995. He was a volunteer fire fighter for the Walton Fire Department. He was an avid deer hunter and has several trophy deer proudly displayed at his home. Luke had a love of farming and especially of caring for animals. One never knew what animals might be found on the farm. He was happiest caring for his animals and being outside on the farm. Another great joy of Luke’s life was being a loving husband, father, grandfather, great grandfather, great great grandfather and friend to many. He looked forward to spending time and being in touch with his loving family. He is survived by his wife Oleta of the home; daughters: Terri and Christian Ramsey of Yukon, Oklahoma, Cindy and Rick Kleck of Troy, Missouri and Susan Hiebert of Augusta, Kansas; one brother Ronald Hiebert of Peabody, Kansas and 5 grandchildren, 15 great grandchildren and 1 great great grandchild. He is preceded in death by his parents and three brothers Victor, Virgil and Richard Hiebert. Funeral service will be 10:00 a.m., Saturday February 2, 2019 at Petersen Funeral Home Chapel in Newton with Pastor Donna Voteau and Christian Ramsey presiding. Visitation will be 5 p.m. to 9 p.m. Friday at Petersen Funeral Home with the family receiving friends from 6:30 p.m. to 8:00 p.m. at the funeral home. Burial will be in the Walton Cemetery, Walton, Kansas. Memorials are suggested to Walton Fire Department in care of Petersen Funeral Home. Our prayers are going up for the family,and our sympathies are flowing your direction. God be your comfort throughout this sad time. Praying God will comfort your family. Susan, I was so sorry to hear about your father’s passing. I know this is a very sad and difficult time for you and your family. You have my very deepest condolences. Please extend my sympathy to your mom and the rest of your family. Start making final arrangements before your time of need.